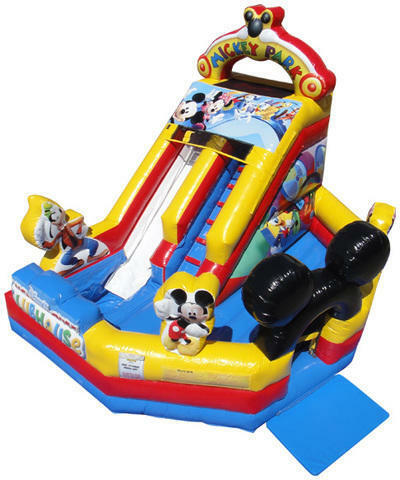 Setup Area: Length: 16'0" Width: 14'0" Height: 12'10"
This Mickey Park Slide Wet is a all time favorite. It has a small jump area and a water slide. It features an inflatable safety ramp at the entrance to protect excited kids as they scramble to get inside the bouncer. Recommend 3 users at a time one entering, one climbing and one silding.